Here in the States, summer is defined by two national holidays. Between the last weekend of May and Memorial Day to the first Monday of September with its Labor Day observance is when Americans know that is time to go to the beach, moisturize and grill meat outside. I more or less respect these traditions, but I always use the weekend before Memorial Day and the Doheny Blues Festival and the San Diego Blues Festival on the second weekend of September as my summer bookends. I suggest you try it as well. The advantages are obvious, as you get two extra weeks of summer. Additionally, as if that weren’t enough, you get to attend two of the great destinations on the west coast and you also get to celebrate America’s greatest cultural gift to the world, the blues, while you’re there. 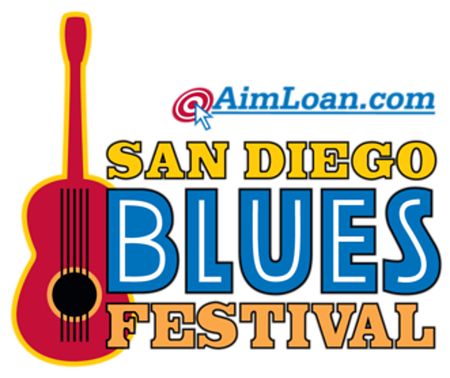 September 9th marks this year’s date for the San Diego Blues Festival. Not only is there another great line-up put together by festival producer Michael Kinsman, but attendees get to do something else, that may or not be fashionable, depending on your political points of view and that is, help your fellow man. Once again, the benefactors to this wonderful event are the good folks at the Jacobs and Cushman San Diego Food Bank. The Food Bank distributed more than 22 million pounds of food through 346 community organizations (social service agencies, churches, senior centers, military agencies) in 2016. About one-third of that was fresh produce. Each month, the Food Bank provides service to 370,000 food-insecure people in San Diego County. That includes 1,600 low-income kids at elementary schools who get a backpack of food each weekend. It also includes a box of food to 8,400 low-income seniors each month. The San Diego Food Bank also serves 28,000 military and military dependents each year. This festival, now in its sixth year, has raised $585,000 for the Food Bank. It also collected 24,000 pounds of food at the event. 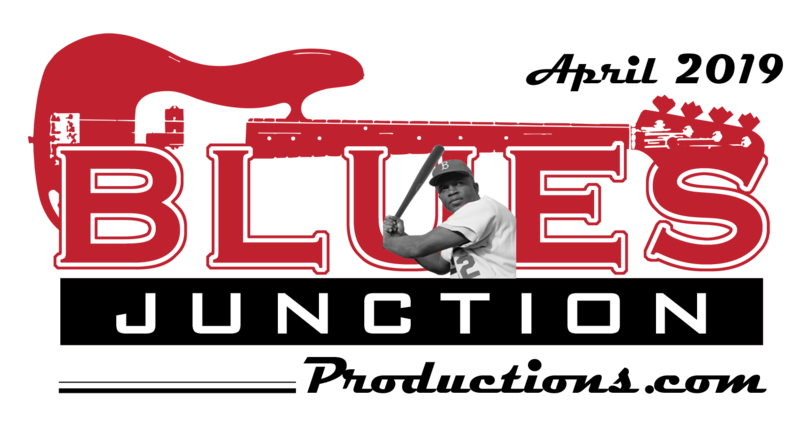 It has been an honor and a privilege for BLUES JUNCTION Productions to be associated with this annual event. If that weren’t incentive enough to attend this festival, the line-up is always a first-rate extravaganza of top flight talent. This year is no exception. The festival headliner Mavis Staples is an American musical icon and remains the torchbearer of the Staple Singers’ legacy. 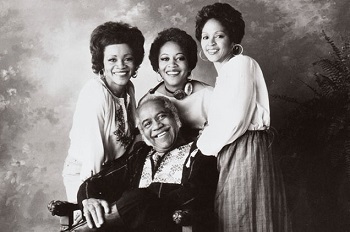 They were an American musical institution which were led by Mavis’ father Roebuck “Pops” Staples and featured her sisters Cleotha and Yvonne and at various times her brother Pervis. However, it was Mavis’ the youngest sibling, who stood out, as she was the featured singer in the ensemble. The Chicago based family group began their career as first-rate gospel singers, harmonizing like only a family can. They recorded for various labels but found their biggest success when they signed with Stax Records out of Memphis. The group famously performed and recorded what would become known as “message music.” Songs like I’ll Take You There, Respect Yourself, Touch a Hand (Make a Friend), Why? (Am I Treated So Bad) and others became the soundtrack to the Civil Rights Movement in America. The trio has recorded albums under their own name and individually all three players have been a part of some of the most celebrated blues bands of the past 40 years. Any laundry list of their recording credits would take all day. 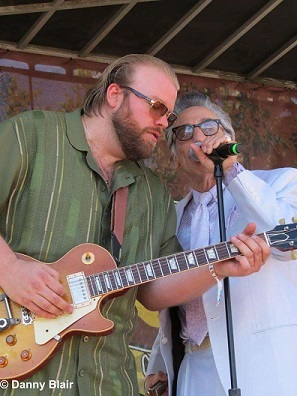 Another Festival Highlight comes from the band whom I consider one of the best blues band on the circuit today, Rick Estrin and the Nightcats. Their combination of absolutely stunning musicianship with just the right amount of showmanship is unmatched in today’s blues universe. They perform mostly Rick Estrin originals which have become some of the most instantly recognizable songs in the genre. I won’t spend a lot of time here on this band as there is an epic two-part interview with Rick Estrin in this edition of BLUES JUNCTION. Additionally, I pulled an interview I did with this band’s guitar player and recording engineer Kid Andersen, that was “published” here three years ago, from the archive section of our site and put it next to Rick’s interview. Joe Louis Walker, like Estrin was born in San Francisco and they were only a few weeks apart. Also like the Nightcats leader, these two were in their late teens when the 60’s hippie movement and that musical sensibility hit that great city like a flower power smack in face. However, Walker, like Estrin, didn’t have much room for that, as blues, gospel, rhythm & blues had already taken hold of their souls. Walker has released 27 albums since his debut in 1985. He is a Grammy Award winner and a member of at least one of the Blues Halls of Fame we have in this country. Leo Bud Welsh is the kind of musician that Alan or John Lomax might have worked with if cosmic circumstances were a little different. Welsh has been singing and playing guitar virtually all his life, but his efforts in the blues field were confined to a few friends and family in his hometown of Bruce, Mississippi. This tiny sawmill town was the sole beneficiary of Welsh’s talent until he was “discovered” and began recording at the age of 82. Now 85, Welsh has been a fixture on the festival circuit and is an overnight sensation. It just took a lot of nights…that’s all. On the other hand, there is the California Honey Drops. They are a relatively young band who have gone from busking to the festival circuit in a short amount of time due to their association with a major booking agency. This eclectic band pulls their inspiration from a variety of sources and sprinkles a little blues over the top to create a crowd-pleasing brand of music that has been a popular draw now for the last few years. In contrast to the California Honey Drops, Chris James and Patrick Rynn worship at the altar of traditional Chicago Blues. These two have formed a partnership that has lasted more than 25 years. They will be joined at the festival by an emerging blues star, Aki Kumar. Kumar originally from Mumbai, India, is a bay area based blues man who has become one of the premier blues harp players in the world. 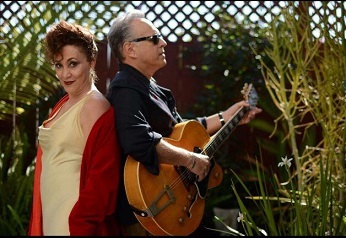 Blue Largo is a San Diego based rhythm & blues combo who mines the sounds and textures of the 40’s and 50’s. They incorporate some original songs and ideas into some very swinging music. They are led by guitarist Eric Lieberman and vocalist Alicia Aragon. This should be a fun set of music which I look forward to hearing. I am not familiar with the music of T.J and the Suitcase or the group Missy, Mercedes and Sharifah. I’m guessing that there are YouTube videos out there, but I don’t look at those and certainly wouldn’t attempt to evaluate their music based on that. What I do know is that Kinsman wouldn’t put either one of these musicians on his stage if they didn’t have something to offer up to the audience that reaches a high musical standard. I look forward to hearing both these acts for the first time on Saturday September 9th. The entire event is held at the Embarcadero Marina Park North on the down town waterfront. 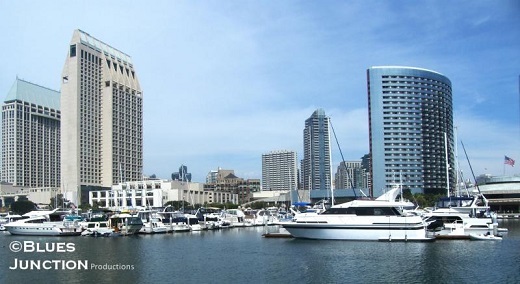 It is a delightful park that is nestled between a small yacht harbor and the San Diego Bay. It is also adjacent to the Shoreline Village shopping and dining area as well as several first-rate hotels. With the bay, the downtown skyline and the Coronado Bridge as a backdrop a more scenic venue is hard to imagine. This combined with San Diego’s perpetually agreeable climate makes for a wonderful festival experience. As an added bonus Charlie Lange and his Bluebeat Music, traveling, retail CD store will be there as well. If any of our readers would like to come by and say hello, there is always a pretty good chance that I’ll be hanging out at Charlie’s booth at some point in the afternoon. I look forward to reuniting with my San Diego Blues family at the 2017 edition of the San Diego Blues Festival. Here is a link for detailed information and tickets.